Disclosure: This is a USFamilyGuide Campaign. Opinions are 100% mine. 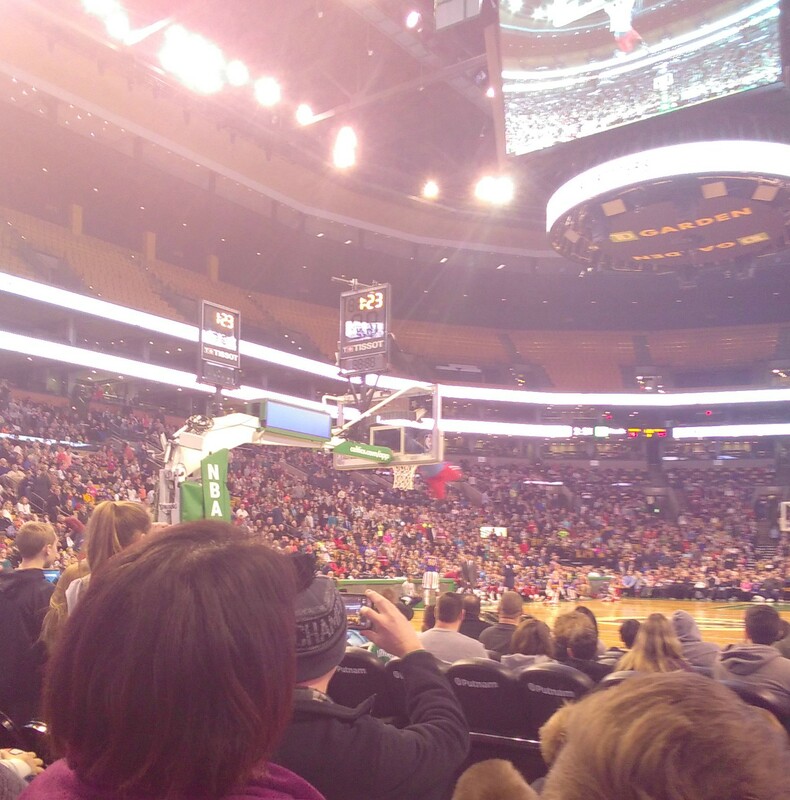 The Globetrotters are in full swing and we made a Boston game at TD Garden. This was our first experience with a live game and we were in for loads of fun! The Harlem Globetrotters played with Washington Generals and won! The roster this year has many great players, a few include Hi-Lite Bruton, Swish Young, Mighty Mitchell, Big Easy Lofton, Thunder Law, Bull Bullard and Cheese Chisholm. We loved Hot Shot, Hoops, Zeus and Hi-Lite, all players were great. It was good to see a couple of girls on the team and the mascot Globie was silly fun! I managed to capture one of the flying players making a slam dunk, both on the big screen and phone camera. All players have their own highlight and fun, Hi-Lite being the main player, who keeps us all entertained with great crowd interaction and many surprises. Fun for the whole family. These great entertainers combine athleticism and comedy while playing a game of ball, even the referees get into the action which was another fun surprise. 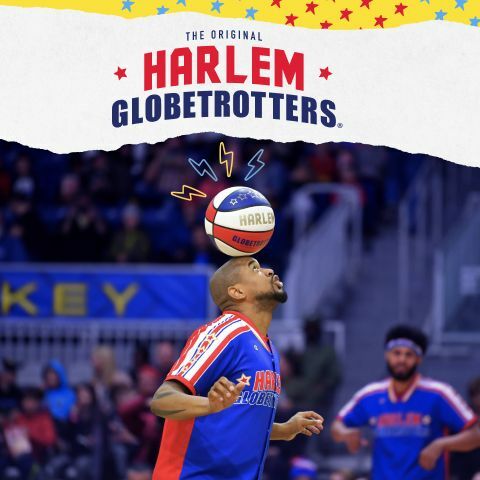 SAVE 25% on all tickets for Harlem Globetrotter Games with promo code: FUNFAM. Check to see if they are coming to a city close to you! Great family fun! trick shots, hilarious comedy and unequaled fan interaction. After the game, Globetrotter stars stick around and sign autographs and take photos with fans. Get your tickets! You'll love it!